This Vollrath HR1D1A Traex® half-size beige 17 compartment 5 1/2" tall glass rack provides the superior protection and spot-free washing that you have come to expect from Vollrath's Traex® warewashing lineup. Sized for easy use in areas and machines where full-size racks would be impractical or cumbersome, this half-size rack is small and compact but still provides excellent protection for your beverage ware. 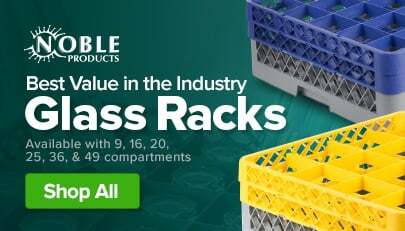 This Traex® rack is designed for superior warewashing ability with 17 individual hexagonal compartments and molded dividers that keep cups in place to prevent chipping and breaking. The open profile allows for thorough top-to-bottom and side-to-side water and air circulation, ensuring that you get the best possible results. 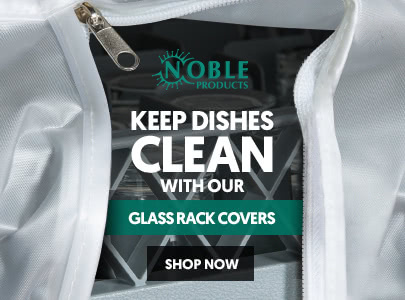 With snap-fit extenders that won't loosen or come apart during the washing cycle, you can count on this rack to protect your glassware through washing, storage, and transportation. Lift and transport this rack with ease thanks to the built-in molded comfort handles on each of the four sides! Whether you are simply loading the dish machine or transporting racks to and from storage, you can count on these comfortable handles to give you a good grip. A durable double wall construction adds strength and integrity to this Traex® rack, ensuring that it will last for a long time. 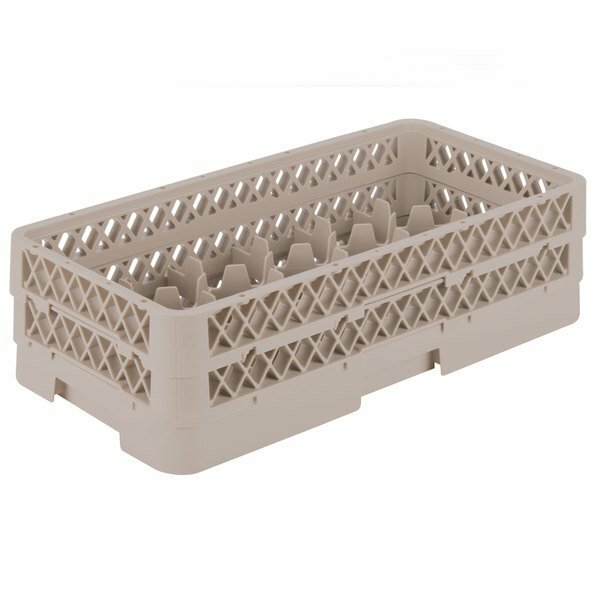 With its light beige color, this half-size rack easily meshes with a color coded warewashing system. Coordinate it with other sizes and styles of racks (each sold separately) to make it easy to see at a glance what type of beverage ware fits in each one.